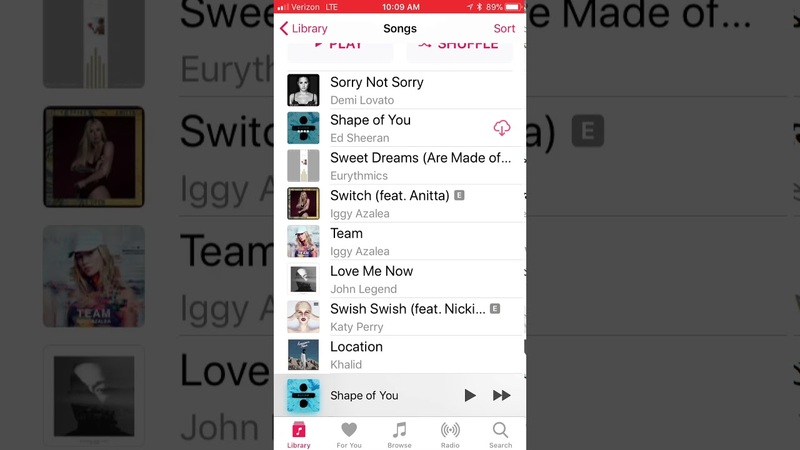 How to Retrieve Music from iCloud? Two Methods! Restoring iCloud music is not easy as many iPhone users would think. The process is technical especially when trying to restore your iCloud backup after switching from an old iPhone to a new one. However, we’ve simplified the process by discussing some easy to follow methods and techniques on ‘How to retrieve music from iCloud’. There are so many known ways to restore backed up music from iCloud, but we shall be discussing the traditional or Apple recommended a way to retrieve music from iCloud via iTunes Store. Step 1: Setup iCloud service on your new iPhone by clicking Settings > iCloud > Sing in. After signing in with your Apple ID and password, then return to the Home screen. Step 2: Click ‘iTunes Store’ app > Purchased > Not on This iPhone. 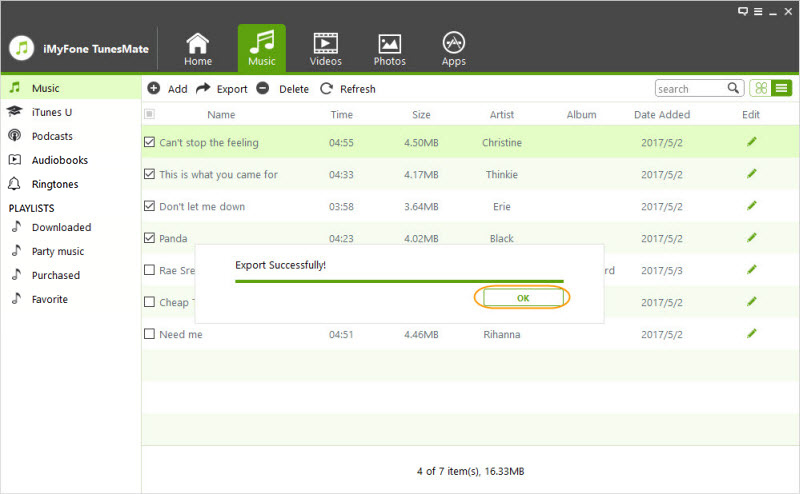 Step 3: You can now see all your purchased songs and albums that are not currently on your device. Click on the iCloud logo beside the song or album to download the song or album to your iPhone, iPad or iPod touch. Another answer about how to retrieve music from iCloud is via iTunes. You can use this method to retrieve your music from iCloud when you have a damaged hard drive, your computer is stolen, you mistakenly erased your computer, etc. Step 1: Download iTunes on your PC, and login in with your Apple ID and password. If you already have iTunes on your computer, you will have to update it to the latest version. Step 2: Click Purchases > Songs or Albums > Not in My Library. Then click the iCloud button to download them to iTunes. The two methods we’ve discussed above on ‘How to retrieve music from iCloud’ has one major limitation in common; they do not support the transfer of non-purchased songs. So, if you have a burned CD, and you copied its songs to iTunes, you’ll neither be able to retrieve such songs nor transfer such songs to your iPhone through iTunes. Nevertheless, there is a good method or tool you can use to transfer non-purchased songs from PC/iTunes to iPhone and vice versa. That tool is iMyFone TunesMate. There are many benefits to using TunesMate in IOS file and data transfer, below are the key features of it. 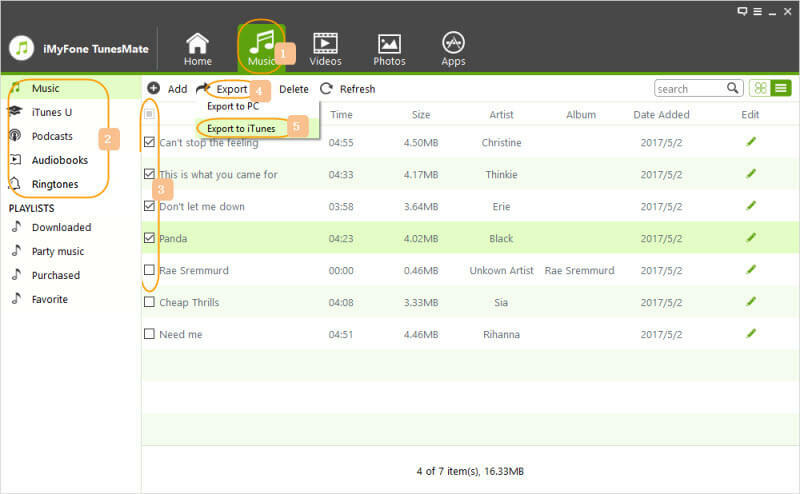 Transfer both purchased and non-purchased music from PC/iTunes to iPhone, iPad or iPod touch. Don’t need to open iTunes when transferring files and data from your computer to iPhone. Share music with different family members even with different Apple ID. Transfer media files between iPhones without iTunes Password. Removes every iTunes errors and restrictions in iOS file transfer, you can now use it to do all that you would like to do on iTunes, and even more. Step 1: Connect your iPhone to PC using the USB cable. Then launch iMyFone TunesMate. Step 2: Click “Music” icon on the top bar. Tick the songs you would like to export to the computer, and click “Export > Export to iTunes”. Step 3: When the process is complete, it will show “Export Successful”. Click “OK” to finish the process. Step 1: Connect your iPhone to Wi-Fi network. Step 2: Click Setting > iCloud. 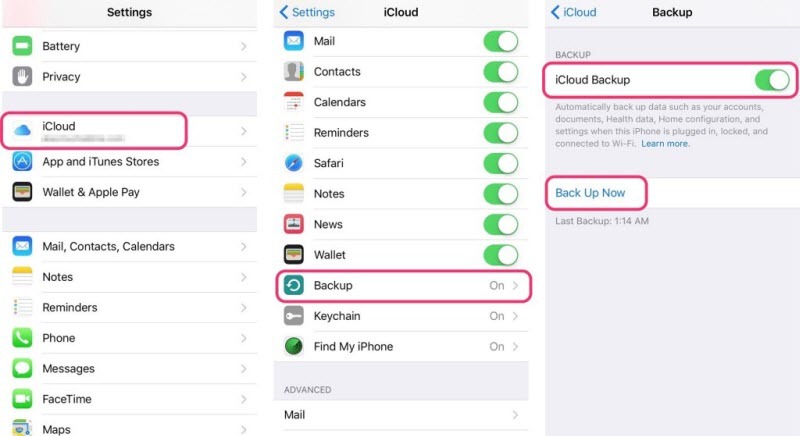 Step 3: Slide the switches On to include apps in your iCloud backup. Step 4: Click iCloud Backup, and slide iCloud Backup switch to On position. Click Backup Now to commence iCloud backup. iCloud is a good SaaS cloud computing service, but it still has its unique limitations and drawbacks. Transfer restrictions on non-purchased iTunes files: iCloud does not back up non-purchased iTunes media and non-media files. High storage pricing: It takes a lot of money to maintain an iCloud subscription for a month. This costs about $0.99, $2.99 and $9.99 for 50GB, 200GB and 2TB respectively. Music library limits: Apple sets iCloud music library limit to 100,000 tracks, but this is not enough. So, if you have more than 100,000 tracks on your Apple devices, you’ll be forced to delete the remainder. Data security issues: This sounds funny, but the truth is that iCloud is not very safe; the recent celebrity hacks have proved that.